Gonna take a crack a this unit modeling thing again. The Likho was a close second to the Hunter in the first thread, so I guess it'll be the focus of the second thread. 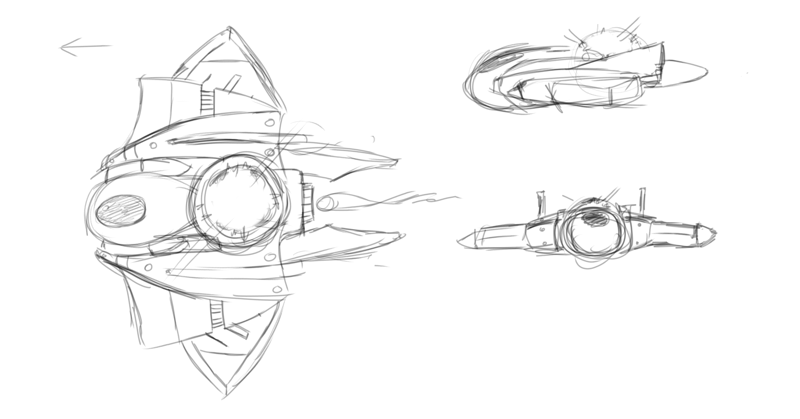 I went ahead and whipped up three different concepts for the Likho; I'll iterate some more concept drawings for any one that seems to be popular. All right, let's see where this goes! I love the old WW2 Flying Fortress-esque bomber design. By the way, I did like the new Hunter model with the catamarans and everything. When is that going to be put into Zero-K, if it is at all? Omg, these are amazing. I want to encourage content like this so badly. Can we add all 3?! Pleeeeease? And revamp air-fac, make air-fac great again. I would love that so much. Looks like Mr. Mini Singu is the popular one. 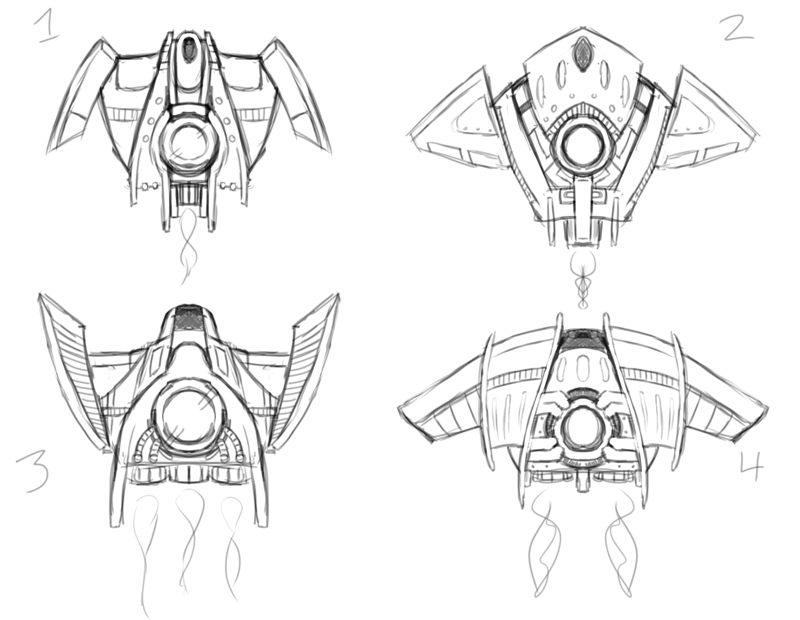 All right...here's some more iterations, so we can see which direction we want to take this. Let's pick out a design, or parts of multiple designs that we like. Prefer the original? That'd be okay, too. I didn't figure out how to plug it into the Hunter's script, and nobody else seems to have had the time to do it for me. If I can figure out how to get a new Likho model or another unit model in the game, I'll probably go back and give the Hunter another attempt. If I can get the model creation process down pat, I'm not against doing a complete remodel of an entire factory/group. As it stands, though, I failed to get one model in the game, over the course of a year. Let's not plan on anything too big just yet. I'm not against doing a complete remodel of an entire factory/group. :D Oh no, I actually didn't mean it like that. When I was writing it, I wasn't actually directing that at you, although I guess it looks like that. I meant that as a kind of comical way of asking the devs in the way that you might ask your parents for something when you're little. (Also, I specifically meant "revamp" in terms of unit design [making it so there's more than just 4 effective units out of the airplane fac], with potential models in the pipeline as an impetus for that change). Frankly, as far as I'm concerned, it appears that you've already made your contribution with the previous thread, and that the bottleneck is whoever might know the game well enough to implement it. I was astonished in your last thread at what appeared to be minimal and only arms-length help, support, or encouragement for your interest and effort in spending a (huge?) number of hours helping to develop and keep the game alive, for free. It's disappointing to see such potential seemingly neglected. At the time I wanted to say something and make sure that you were given the resources and interest that you needed to become a contributor. However, I didn't want to offend anyone, and I didn't know if perhaps there was more being filled in behind the scenes that I wasn't aware of. I too, had asked to help Zero-K when I first discovered it - with outreach, helping people discover the great game that this is, and to keep the community alive and vibrant for years to come. After messaging some devs, I was directed to GF. Then GF invited me to message him. So I followed up with him a few times, but was literally ignored without explanation. He never responded. I believe once in public chat he simply mentioned that he saw them but didn't care, and that was all. Unfortunate and frustrating. So I gave up. is this a hole in the middle? i like holes in planes! if that is a hole, it would really add the mini-singu style, if the hole is filles with the yellow singu ball, and ejects named as projectile. on fly home, the hole would be visible. Personally, I think you struck gold with the original concept from your 1st post, especially the tail, which I think should be kept in all cases. However, I also like the body and wings from the 2nd model (albeit as a runner-up). I assumed the idea was heavily inspired from the supreme commander super bomber? I really like the idea of a singularity holder in the middle of the plane. Beyond that, I like the shape of OP_1. Keep in mind that the holder should be visible from the top and that Likho shoots forwards, not down. Avoid wings that are close to the shape of existing bombers, as that hurts recognition. Also the current bombers are fairly sleek and simple so I'd avoid designs that look like multiple stacked wings. OP_2 is very complex. OP_3 is also a bit complex and the outermost wings have a similar shape to the Ravens wings. That said, all the bombers could be redone, in which case consistency with the current bombers is less of a worry. Of the new batch I prefer 2_3 because it looks tough yet maneuverable. 2_2 and 2_4 look like plodding high altitude bombers whereas 2_1 is petite. Hun_Tzu can you clarify (perhaps elsewhere) as I don't want to assume things. I recall talking to you about cloak bots briefly, then becoming more busy. I have no recollection of the context of the discord PM I sent, and don't seem to have any other type. You're welcome to help. I was not always able to respond to everything all the time. I don't know what is going on with Hunter. Anarchid is the great promoter of the blender workflow. Perhaps he will do something. The forum is a fairly bad way to organise these things, and chat is worse. Tickets and PRs on github are much less likely to be forgotten. The forum is a fairly bad way to organise these things, and chat is worse. Tickets and PRs on github are much less likely to be forgotten. Actually, chat would be great. I find chat quite good for discussing artsy stuff or anything requiring fairly high-frequency back-and-forth, like figuring out why an animation script doesn't work. Anarchid is the great promoter of the blender workflow. Perhaps he will do something. The part that needs doing for Hunter has nothing to do with Blender - it's the part about writing the Lua script. I guess i can do that sometime this week, alongside that for the chickenflak. GoogleFrog: I'm pretty sure modelers could potentially get away with similar wing shape designs to, say, the Raven if the model also comes with some other very visible parts, like, say, a long manta-like tail (like in the original post's 3rd model), or the giant cavity in its body (again, like in the original post's 3rd model). Also, keep in mind that there is a technique where bombers could increase their altitude as they're dropping their bombs to make their bombs fly further due to momentum carried from the ascending aircraft. Perhaps that could be an excuse as to why, despite the bomb being dropped from a hole underneath the plane, it could still fly forwards? Bomb tossing is an actual Spring physics thing and ZK doesn't use it for a reason. 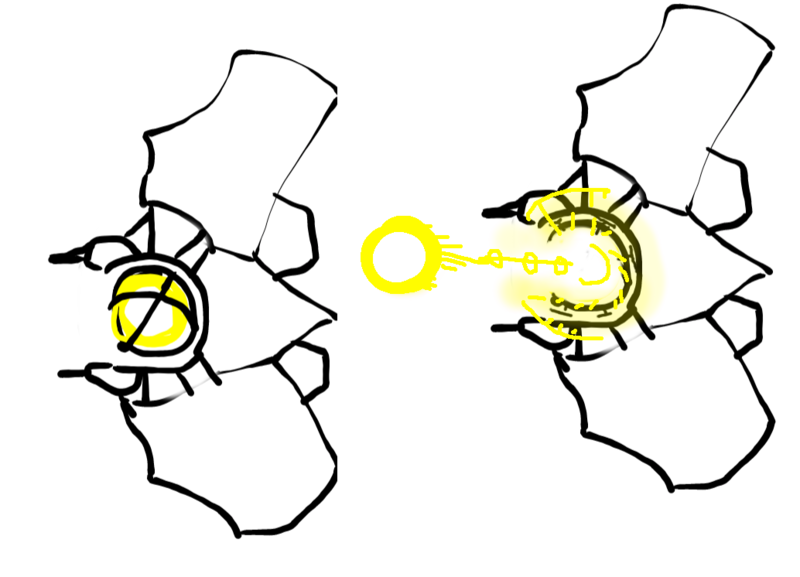 For a singularity bomber, the projectile could just be fired in a straight line, as a LaserCannon or Cannon shot, with an accompanying visual effect representing the collapse of the containment field and the actual black hole being fired at target. As for concepts, i'd prefer a hybrid between OP1's sleek curved lines, but with the bulbous "head" of the fuselage instead housing the "mini singu", ideally complete with spinning containment gimbal things. Kinda like this i guess? The bomb flies directly forwards from the Likho, which often fires at an angle. It also needs to look like a guided missile, for consistency. I am not keen on adding lups to a projectile, as it is untested and adding projectiles probably has some global overhead. You can try for fancy projectiles, but I was more imagining that the singularity in the plane was used up by cramming it into a warhead just before it is fired. The projectile for a glowing sphere can be a spherical mesh with an emissive texture, or just a ceg ball. This is not complicated and neither of those approaches require LUPS, though distorts would be awesome. There's also a projectile LUPS gadget lying around somewhere, i remember using it for sonic Dagger back when it was called Scrubber and Gauss didn't penetrate water. The angle is not a problem. Since the holder is not a barrel, it can "shoot" the projectile in almost any direction without clipping the unit model in this concept - there's a lot of free lines of fire from the middle of the sphere to where the targets are. It will only clip if firing backwards, or sideways along the plane of its wings. The missile physics vs laser/cannon physics is a bit of a question, of course. However, current Likho missile is only semi-guided iirc, which isn't that different to a leading projectile. I feel that cramming the singularity into a rocket won't be sellable aesthetically, unless the singularity containment is in fact the rocket itself, with fins, engines and everything. I quite like Anarchid's design, followed by the current Likho, and then by stealth-Likho and singu-Likho-3. I'll whip up some concepts for a OP-1 Likho with the OP-3 singularity centerpiece in a bit. That's just the nature of open-source development. GoogleFrog and the rest are volunteers with their own lives, not 24/7 paid tech-support. I started this knowing that I might have to dig up a majority of my own information. Can I claim convergent design? 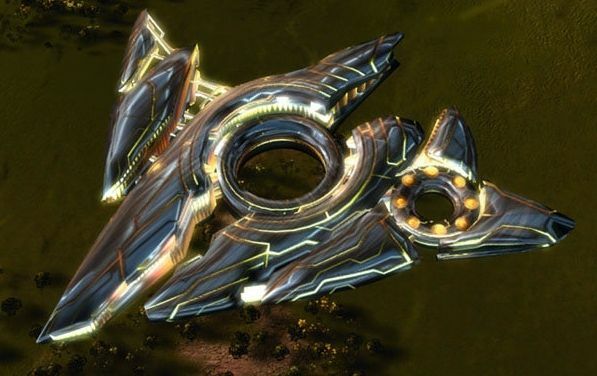 My Sci-Fi RPS experiece prior to Zero-K was entirely StarCraft franchise; the visible ball of energy idea was more inspired by the Protoss Tempest. Terrible unit gameplay, but nice eye-candy. I'm novice when it comes to collaborative communication, hence why I'm on the forum--it's just the first place I knew of. If you have a better place to communicate, I'm willing to follow you. ...It also needs to look like a guided missile, for consistency. I am not keen on adding lups to a projectile, as it is untested and adding projectiles probably has some global overhead. You can try for fancy projectiles, but I was more imagining that the singularity in the plane was used up by cramming it into a warhead just before it is fired. I wasn't planning on anything more complex than the ball-o'-light like the one in the Singularity Reactor. It's open to change, though. That said, all the bombers could be redone, in which case consistency with the current bombers is less of a worry. ...I can concept some redesigns for the other bombers, too; that way, we have a plan for visually-consistent updated bomber models, even if the other models aren't being produced yet. It's not a terrible idea. It would be great if it had a new stealth/cloak upgrade available for some serious porc busting.